There’s little question the Cayman Islands is in the midst of a tourism boom. The destination recorded 345,387 air arrivals last year, a 7.4 percent increase over 2012. Air arrivals for 2014 are up 6.4 percent to date. In addition, Moses Kirkconnell, the Cayman Islands’ Deputy Premier and Minister for District Administration, Tourism and Transport, recently said the nation expects a “record-breaking” 1.95 million cruise ship arrivals in 2015, a total not reached since 2006. Cruise passenger arrivals are expected to reach 1.65 million in 2014. 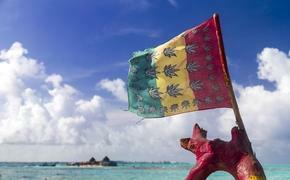 Yet the Cayman Islands’ popularity also poses problems. Owen Roberts International Airport in the capital of Grand Cayman is outdated and subject to overcrowding. Kirkconnell said the airport is operating at double its 500,000-person capacity at peak periods. In addition, the main port of Grand Cayman lacks a cruise ship pier capable of handling the largest ships, meaning cruise lines are forced to anchor vessels off-shore and tender vacationers to shore, a time-consuming process cruise lines prefer to avoid. The destination has struggled in recent years to launch a successful cruise ship terminal development project. 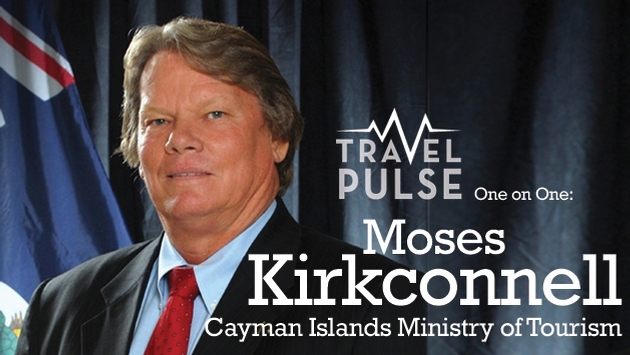 TravelPulse spoke recently with Kirkconnell to discuss the Cayman Islands’ tourism success and the resulting looming challenges. TravelPulse: How are you addressing the overcrowding issues at the airport? Moses Kirkconnell: I can confirm that the congestion at Owen Roberts Airport (ORIA) is an ongoing issue both the tourism ministry and the Cayman Islands Airport Authority (CIAA) are endeavoring to deal with, while airport redevelopment options are being pursued. In October 2013, the government issued a policy directive to enhance the existing facilities at all three of our airports, and a strategic outline case (SOC) outlining various redevelopment options for consideration was developed. The SOC is a requirement for major public infrastructure projects and represents the first step on the procurement continuum. Following an open and transparent tendering process, PricewaterhouseCoopers (PwC) were appointed to provide financial and technical consultancy services for the airport redevelopment projects. Consequently, the SOC was provided to PwC for analysis. "Given that tourism is a significant economic driver, it is important to us that the last memory our visitors have of our Islands, as they prepare to return home, is a pleasurable one." The overcrowding currently being experienced is regrettable and does not align with the optimum experience that the Ministry and CIAA would like to see provided. However, while we follow the specified processes necessary to achieve the redevelopment of our current facilities, everything possible is being done to alleviate the congestion, particularly during weekend peak travel times. TP: What measures are you taking to cope with congestion in the meantime? MK: A series of critical upgrades have been implemented at Owen Roberts to provide more comfort and convenience for travelers. These medium-term solutions are designed to help manage the higher passenger quotas until a more permanent resolution can be put in place. A series of critical upgrades have been implemented. These include the installation of a new roof to provide shade and weather protection for arriving passengers. Also the air conditioning system has been upgraded to maintain a comfortable temperature in the arrivals and departure areas, and the departure lounge has been extended to provide additional seating for passengers waiting to depart. The overarching goal is to ensure that all travelers using our airports have the most comfortable and convenient travel experience possible. Given that tourism is a significant economic driver, it is important to us that the last memory our visitors have of our Islands, as they prepare to return home, is a pleasurable one. TP: Are you working with tourism stakeholders to provide information regarding these initiatives? MK: The ministry of tourism is communicating with the tourism sector to provide updates and information on the interim upgrades. Keeping our tourism stakeholders and the accommodations sector apprised of the developments enables the information to be passed on to passengers so that they can be better informed and know what to expect during peak travel times, can understand the reasons why the congestion is occurring, and know what is being done about it. TP: What other initiatives are underway? MK: CIAA has implemented several changes to assist with processing the large volume of passengers during peak travel times. These include the provision of tents and chairs and limiting departure hall access to passengers whose flights are scheduled to depart within 90 minutes. Passengers whose flights are scheduled for departure beyond the 90-minute time frame are provided with access to refreshments and entertainment while waiting. TP: How are travelers responding to the congestion and the measures to alleviate its impact? MK: Thus far, passenger response has been largely understanding and our efforts to enhance their comfort under circumstances beyond our control is appreciated. Many take it in stride, particularly since airports all over the world, including Miami and JFK which many of our visitors traverse through on their way to and from the Cayman Islands, are continually undergoing construction or otherwise being upgraded to accommodate increasing demand and improve passenger services. It is worth noting neither the ministry nor the CIAA have control over flight departure times. The ability to stagger the times that passengers arrive at ORIA to check-in for their flights is beyond the ministry’s control. Outside of this, we are doing everything within our sphere of influence to enhance the travel experience as much as possible.